Christmas hasn't even come, but I have taken down our December classroom calendar and put up January. Time goes so quickly, but there are items that have to be thought about. One of those is the mid-year testing coming on Jan. 11th - 13th. Students will not come for class on those days. They will have individual testing appointments. We are allowing parents to schedule those appointments so that it will be more convenient to your schedule. Directions were sent home this week of how to do that. If you did not receive that information please view the "Online Scheduler Instructions" post. It will explain what you need to do to schedule an appointment for your child. Any students not scheduled by parents will be scheduled by the school. Thank you for your patience and help. This is a very important assessment to measure each student's growth since the beginning of the year. If you need a fun website for your student during the holidays, one we used at school is called...northpole.com...and has fun activities to practice basic skills. Last of all, I would like to thank you all for your wonderful generousity. I have been inundated with classroom supplies and gifts! It is absolutely OVERWHELMING. Thank you so much for your kindness and support. It is very appreciated. May you all have a joyous holiday season! If only I could bottle the energy level of our classes! I would never get tired for the next 100 years. Things are very exciting as we anticipate Christmas. However, we continue to keep the academic work going. I know the holidays are busy, but would encourage everyone to keep reading over the winter break. Thank you to all those who return "reading tickets". I know how hard it is to keep up with all the demands. The important thing is to spend at least 20 min. a day reading with your child. Many of the students are getting more capable at reading books on their own. And there are so many wonderful Christmas stories. It's just a natural inclination to cuddle up with a good book on a cold night! Speaking of cold nights, the days haven't been very warm lately. Please help your child to remember to dress warmly for this cold weather. We do try to go out for recess if the weather is reasonable (freezing or above) and not stormy. Just a reminder that we will be decorating candy houses on Wed., Dec. 14th. All supplies will be provided. With the month of December, comes the realization that there are items connected with the new year that need to be discussed. First of all, a white note was sent home today with information for registering to be included in the lottery for the French Immersion Program here at Butler Elementary. For those who are interested, please read the registration dates carefully. Apparently there were some incorrect dates given out previously. Anyone interested in having their child placed in the program next year, for First Grade, needs to register online at canyonsdistrict.org by Jan. 6, 2012. If you have questions, please feel free to contact the district at 801-826-5045. There are also some parent meetings coming up in January as well. Secondly, on January 11th, 12th, and 13th Kindergarten students will be tested for their mid-year standardized testing. This means students will not come to class on those days, but will come for an individual 20 min. testing appointment. 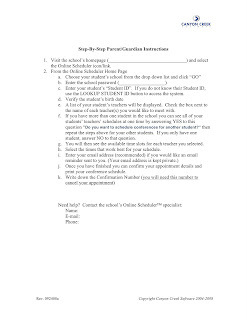 We are using the same online scheduling for those appointments that was used for parent/teacher conferences. This scheduling will be open starting Dec. 17th and will continue through Jan. 4th. Those who do not schedule an appointment online will be assigned a time by the school. Instructions for how to do this will be sent home before the winter break begins. Remember this testing is what will help us chart the growth of each student since the beginning of the year. Last of all, on Dec. 14th we will be decorating candy houses in class and students will bring them home that day. All supplies will be provided here at school. Several parents have offered to help, but if there are any others, please let me know. It is just amazing how quickly the year is going. But as I watch the students and the progress they are making, I can see their growth. Keep up the good work! We have begun our classroom book check-out program this week. On Monday, your student should have brought home a large ziploc bag with a note (explaining the program), and a book inside. These books are to help students practice their reading skills at home. Hopefully, they will get a chance to do this over the Thanksgiving break. There is no homework for the week, since it was only 2 days. Thank you for all those parents who have returned notes about their students accomplishing goals for the Butler Bobcat Award. Keep working on those over the break as well. We are looking forward to December and continuing working on our skills. Thanks for all the support! Today a note was sent home outlining the details for the "Butler Bobcat Award". This is an award that students can earn by accomplishing 10 goals from a list of many. The majority of the goals will be monitored/passed off at school, although home practice would certainly help. There are 4 goals that are "home certified" which means parents are entirely responsible for verifying their accomplishment. 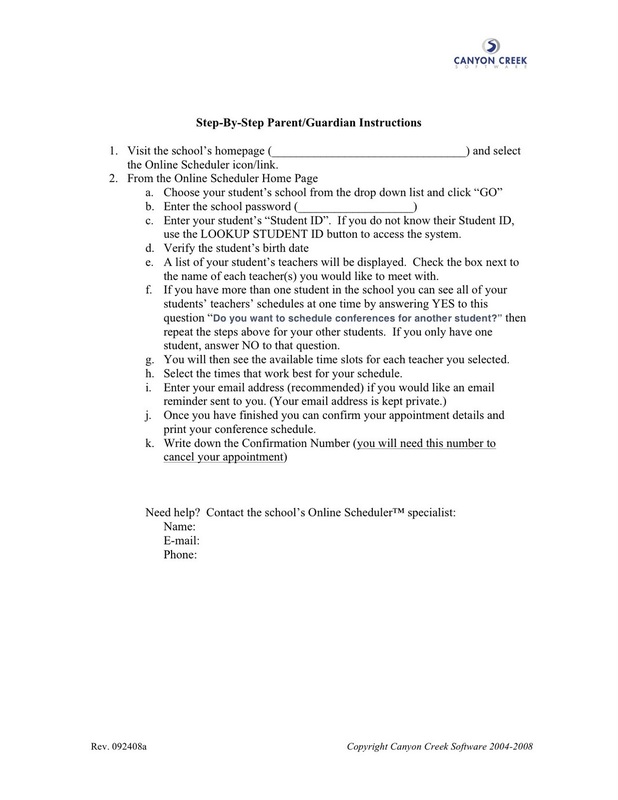 Just send a note when your student has completed any/or all of those 4 goals. The first award time will be in January, with a second in March, and a final in May. You will be notified when your child will be receiving their award. If you did not receive this note, please let me know so that another one can be sent. With our short week next week, please remember that Tuesday will be early day. Also students who attend the extended day program (extra practice after AM or before PM class) there will be NO classes next week. One other reminder, since we have several students with peanut/nut allergies, please do not send any treats or snacks with students that contain these items. We have students who come to school eating lunch or a snack that contains nuts or eating a peanut butter sandwich. Please have them finish these in the car, or not bring them to school. Thank you! Now that conferences are over, we are flying ahead into new ideas and curriculum. Please help your student with any issues that were discussed at conferences. Although, we review things occasionally, we need to move forward in order to cover all that we must this year. This coming week, there will be picture retakes on Thursday, Nov. 17th. Students who missed the first session, those who are new, and any who would like their pictures redone should be prepared on that day. New order forms were sent home today (Friday). If you are having your child's picture redone, the previous picture package must be returned. Also, PM parents, please make sure you do not drop your student off too early. It was reported to the office today that there were two PM Kindergarten students out on the playground 15 - 20 min. before school started. There is no supervision out there on early days at that time. Luckily, it was not a terribly cold day. And lastly, THANK YOU to all you parents that have been returning "reading tickets". I know it takes extra time to fill them out, but it really does count. The students are so excited to turn them in. On Monday, a drawing was held and one of our 1st grade students won a new bike! 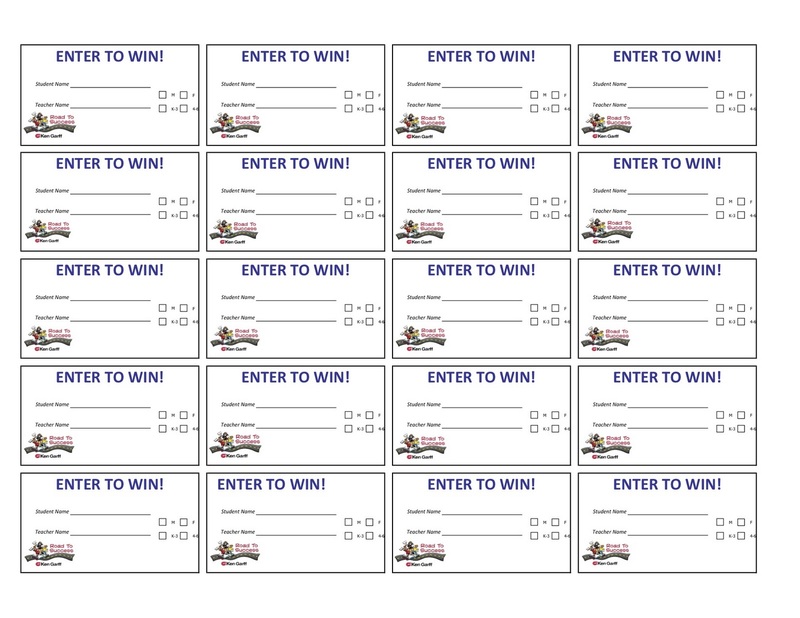 Each week, we are also having a contest between AM and PM to see who turns in the most tickets (reading days). Halloween will be celebrated in our class on Monday. Students may wear their costumes. Please be aware that no masks, weapons, or facsimiles of weapons are allowed. Unfortunately there is no parade for parents to come to. There is not the parking or space available to permit that. However, the PTA organizes a wonderful carnival that is full of fun, games, and treats for the students. Each class spends approx. 40 minutes there. Parents are able to come and help with that and enjoy the fun. Thank you to all the volunteers who help with that. Also, this week, we will be holding Parent/Teacher Conferences. Confirmation letters were sent home on Thursday. If you were unable to sign up for a time, one has been assigned to you. Check your child's backpack for the letter. If you are unable to find it, or need to find another time, please let me know. I look forward to meeting with parents and students to celebrate the progress each child is making. Just a reminder that there will be no school on Friday, Nov. 4th due to conference recess day. This week a blue letter was sent home to parents giving instructions for registering online for parent/teacher conferences. This is the first time our school has done this. And although, it is exciting, there are always bugs to be worked out. I am going to try and clarify some of the questions. In order to register, go to the Butler Elem. website. In the top, right corner you will see a button for "Online Scheduler". Click on that. Choose the correct school, etc. and when it asks for a password use "bobcats". You will then be able to choose the teacher(s) that you need to schedule with and see what times/days are available. Choose the day/time that suits your schedule and save/submit. You should be done. Please contact the school if you are unable to complete the process. Because I have two classes, I have a lot more parents scheduling conferences than a regular teacher. In order to get them all in, I have to hold conferences on Wednesday night (Nov. 2nd) and all day Thursday (Nov. 3rd). The bulk of my conferences will be on Thursday. Our Kindergarten assistant will be in charge of the class during class time, while I meet with parents and students in the Library. Please bring your student with you to the conference. I am really looking forward to meeting with each student and their parents to discuss the progress they are making. Just a little side note. I will be out of town next week (Oct. 17th - 19th) and will be unable to answer any e-mails, etc. until I return Oct. 24th. Thank you! The change in weather has really brought out some interesting behavior. We have had several children out sick this week as we have acclimated to colder weather. Please help your child to remember to dress appropriately for the weather. We will also be continuing our good hygiene practices. If the weather is stormy (rain or snow) or extremely cold when students arrive at school, they may come inside before the bell rings, but need to maintain quiet manners. Just a reminder about the Reflections contest that is sponsored by the PTA. Information papers have been sent home previously with a reminder sent home today (orange note). If you have questions or need additional information please contact Stephanie Kelly (stephikelly@gmail.com) or Annetta Hessenthaler (annettahess@yahoo.com). Entries are due Oct. 24th. Parent/Teacher conferences will be held Nov. 2nd and 3rd. The school is trying online registration this year. Information will be sent home next week with the details of how you can schedule an appointment. Many parents have expressed an interest in helping with the Halloween Carnival. I have included our Room Mothers information so that you can contact them directly if you would like. The excitement is already building for Halloween and will just keep going until Christmas. Here we go! Thank you for all those who have offered to volunteer in our class. Volunteers really do make a difference by giving a better adult to student ratio, as well as an extra set of hands. Now that we have our first month of school under our belt, we are ready to move forward. If there are any who are interested in helping in our classroom for the month of October, please check the schedule below and then e-mail me @ lani.heldt@canyonsdistrict.org and let me know which day is best for you. We need 1 -2 volunteers for each of the days listed below. I will send you a confirmation e-mail. Please remember that all volunteers must be registered with Canyons School District. You can do this online by going to the Canyons School District website. Or you can ask to do it in the office when you come to help. Just come a few minutes early. Tues, Oct. 4th 10 – 11 a.m.
Wed., Oct. 5th 10 – 11 a.m. Thurs., Oct. 6th 10 -11 a.m.
Tues., Oct. 11th 10 – 11 a.m.
Wed., Oct. 12th 10 – 11 a.m.
Tues., Oct. 25th 10 – 11 a.m.
Wed., Oct. 26th 10 – 11 a.m.
Tues., Oct. 4th 1 – 2 p.m.
Wed., Oct. 5th 1 – 2 p.m. Thurs., Oct. 6th 1 – 2 p.m.
Tues., Oct. 11th 1 – 2 p.m.
Wed., Oct. 12th 1 – 2 p.m.
Tues., Oct. 25th 1 – 2 p.m.
Wed., Oct. 26th 1 – 2 p.m.
New school t-shirts were sent home with students today. I encouraged the students to wear them home so that parents would immediately see them. Hopefully, they all made it. These shirts are to encourage school spirit by wearing them on Fridays or other days indicated by the teacher. One little girl said she was going to wear it every day she loved it so much! Thank You Parents and Students! Thank you for all the wonderful donations of supplies. Your generosity has been overwhelming. We have a wonderful stockpile of so many items that are not able to be ordered from the district warehouse. THANK YOU, again! Also, this week, we sent home our first homework assignment on Wed. That is the day it will be sent home each week. It is a one page paper that is labeled at the top..."Homework for week of ...". This week's assignment involved the class rules we have been developing in class. Students were to draw a picture for each rule, sign the promise at the bottom, and return the homework to class. We keep track of returned homework by putting a sticker on our "Homework Chart". 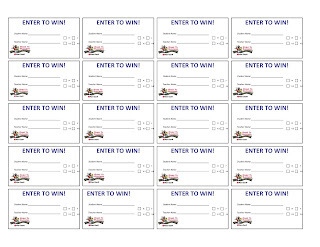 Students are able to choose a prize when 10 assignments have been returned. The intent is to develop a good habit that will continue through their school career. I do not set a deadline for homework to be returned, but will accept it whenever it comes. I design the homework each week to cover the topics we are currently studying in class, so that parents can be aware and hopefully enhance any of those topics. I try to keep it open-ended so that it can be accomplished at whatever level the student is at. If they need a lot of support, feel free to assist them as you feel is appropriate. If they are very independent, let them work on their own. Although homework is important, we don't want it to be a huge battle ground. Again, if you have questions, please feel free to contact me. We have successfully completed our first week of Kindergarten!!! There is so much to learn about classroom procedures and school rules. It will be an ongoing process all year. On Friday, we celebrated the Canyons School District College Ready Day. This celebration is to help students and parents realize that our goal is for each child to be college ready upon graduation from high school in Canyons District,whether they choose that path or not. And that path begins in Kindergarten. We have pictures to post, but due to the numerous "opt out" media releases that were signed I can't publish those pictures until we have somehow edited out the students whose parents do not want their pictures posted. If I accidentally publish your child's picture and you have signed one of those releases, please inform me immediately. Thank you!